Is this picture showing us the next-generation Google Nexus 7? The other day we told you how the next-generation version of the Google Nexus 7 tablet was seen visiting the FCC as the ASUS K008/K009. With a higher resolution screen (1920 x 1080 or 1920 x 1200), twice the RAM, Android 4.3 installed and a thinner bezel, the tablet is expected to launch at about the same time that Android 4.3 does. 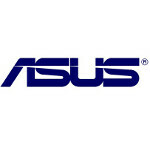 Now, a small picture of the ASUS K009 has been seen at the Bluetooth SIG. And while it is hard to see any detail at all, if you look really closely, you might see the front-facing camera and the thinner bezel. The next-gen Google Nexus 7? The Bluetooth SIG has a major contradiction. That document shows the slate powered by the Qualcomm Snapdragon 600 compared to the FCC paperwork, which shows the tablet powered by the Qualcomm Snapdragon S4 Pro. This could be a simple omission involving one letter. The former is the APQ8064T while the latter is the APQ8064 and it is more likely that the Qualcomm Snapdragon 600 will be found inside the tablet. A 4000mAh battery is keeping the lights on and there is 4G LTE connectivity with this model. With the FCC visit and the Bluetooth SIG appearance, it probably won't be terribly long until the refreshed Google Nexus 7 sees the light of day. news will not pour like rain in there inbox just because they running a tech blog. The thinner bezel would be welcome, as would better build quality. It wasn't a bad tablet, for the price, but the quality control issues on the first few series (Everything prior to C90) were atrocious. Snapdragon 600 would be awesome - not cause of performance, but batter saving. The S4 Pro is an extremely power-hungry chipset, I fear it'd eat up the 4000mAh on a 7" FHD screen in no time. An article about a black rectangle. Well done! I just need an official release from Google. They need to hurry up. Asus & Google will probably have my money for this. Maybe it's a regional/carrier and/or connectivity difference. There's both the K008 and the k009 - one with WiFI, one with cellular connectivity, so perhaps also one with the S4 Pro and one with the Snapdragon 600. Going back to the regional thing, possibly because of different carriers in different areas of the world. He may just be someone who has a family or pets, like say, a major portion of humanity. If you are sitting on your porch and reading on your tablet (Like I am now), and someone does something, you snap a pic with what you have. "Sorry, let me go get my camera/phone" doesn't work. It's not always about attention seekers making duck faces. For a 7 inch tablet, they could do better than a 4,000 mAh non-replaceable battery. I'm pretty sure they could have squeezed 5,000.